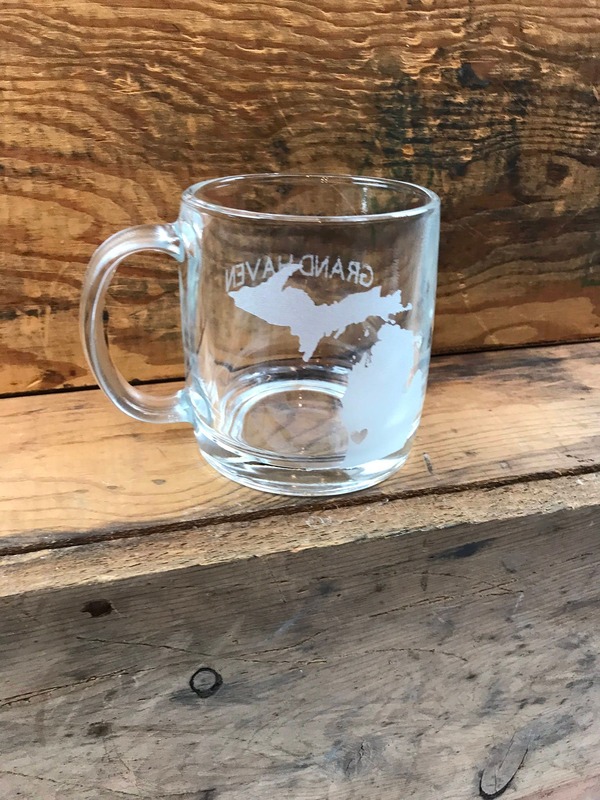 13oz. 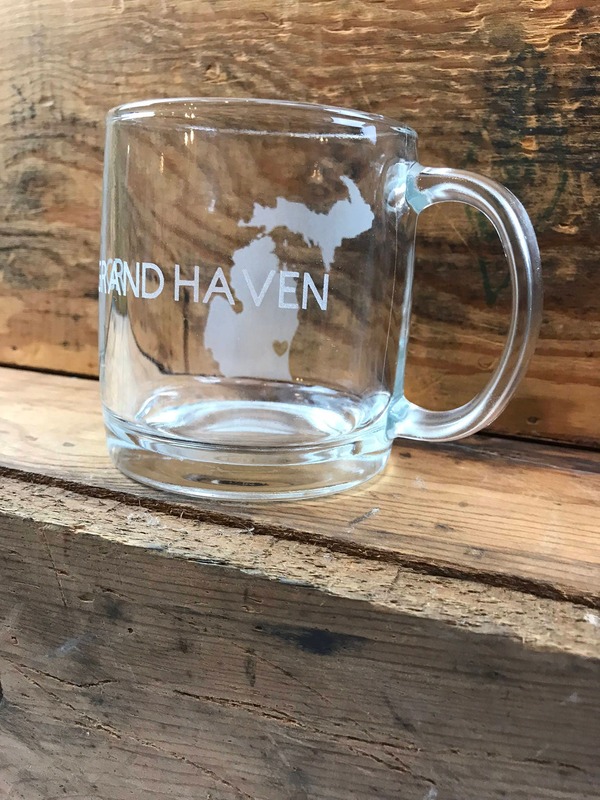 Custom Nordic Coffee Mug - "Michigan w/Heart Location"
This custom coffee mug is etched to perfection by hand using the sandblasting method. 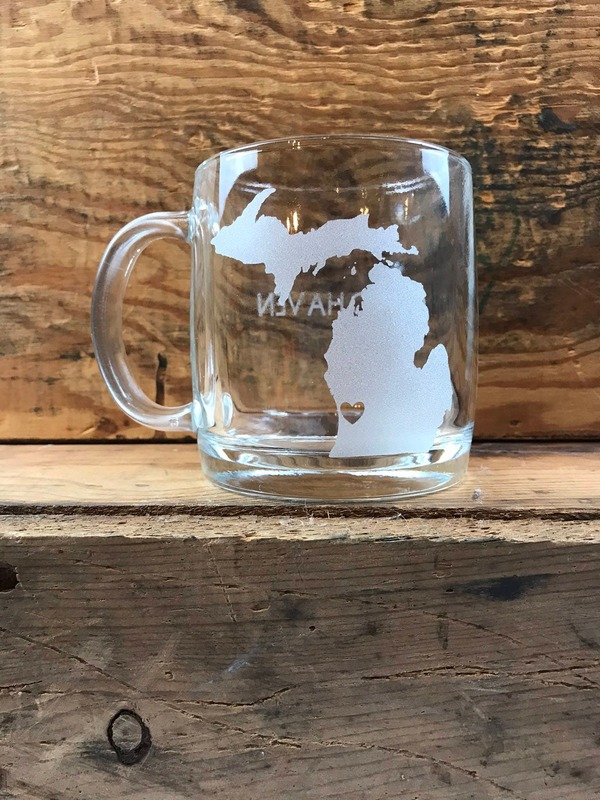 These coffee mugs are great if you want to show pride in your state and your city. 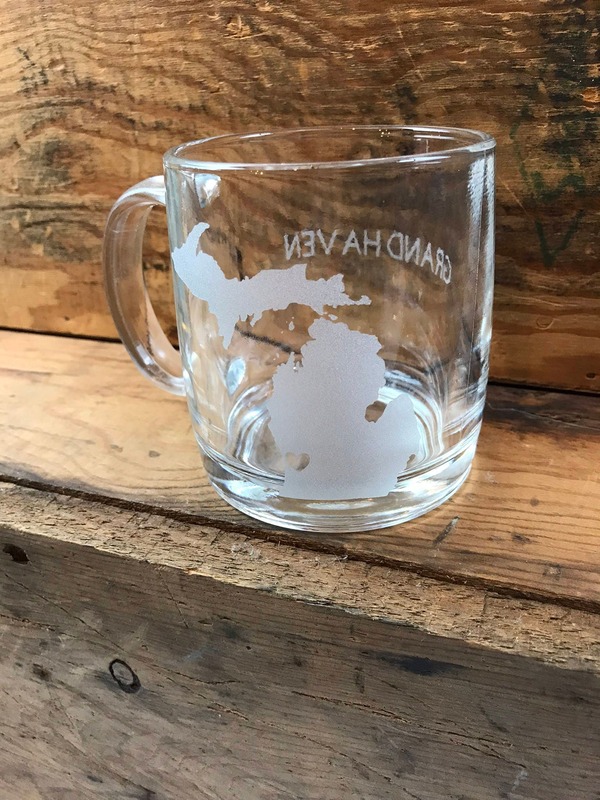 When you place the order for this mug let me know what STATE & CITY you live in. 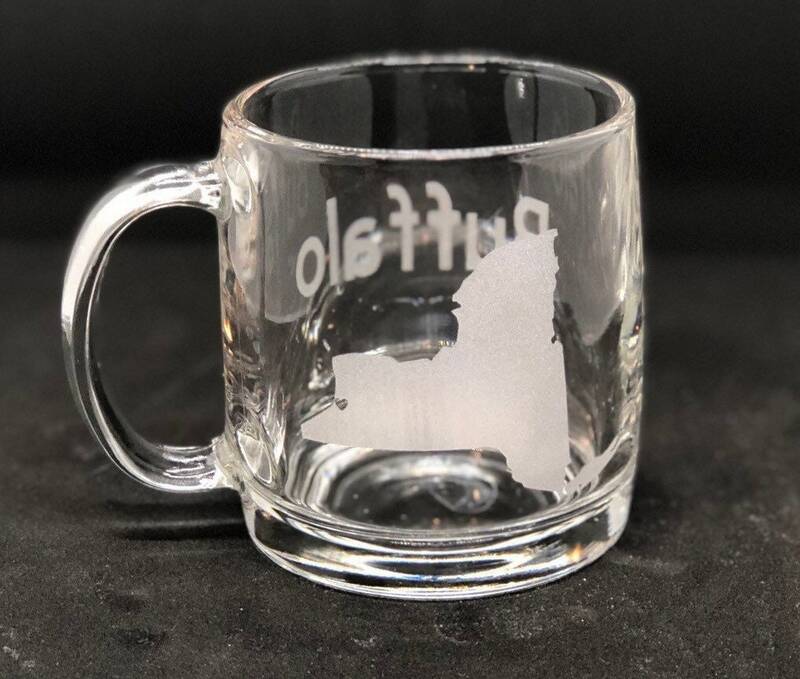 I will customize the heart to be located above where your city is located on the map. 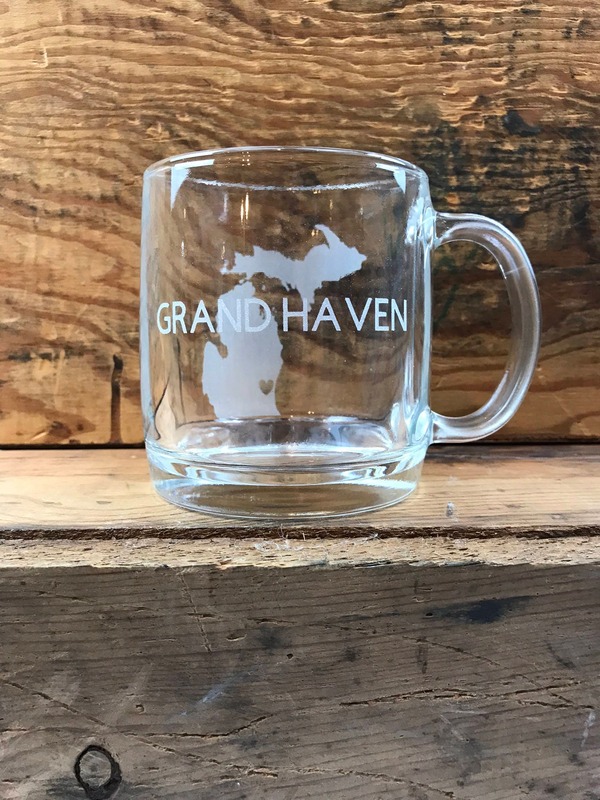 I will provide a proof of the graphic with the location of your city before etching into your custom coffee mug. 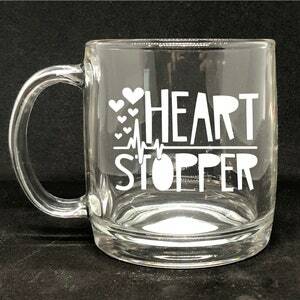 ~~ NOTE: This mug comes standard with only the graphic and the heart location. 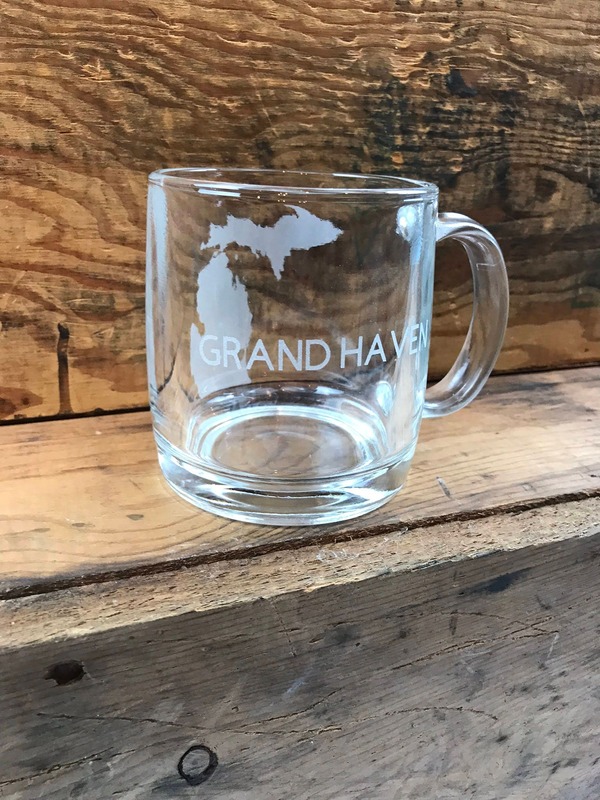 The city name etched on the back of the glass is extra. 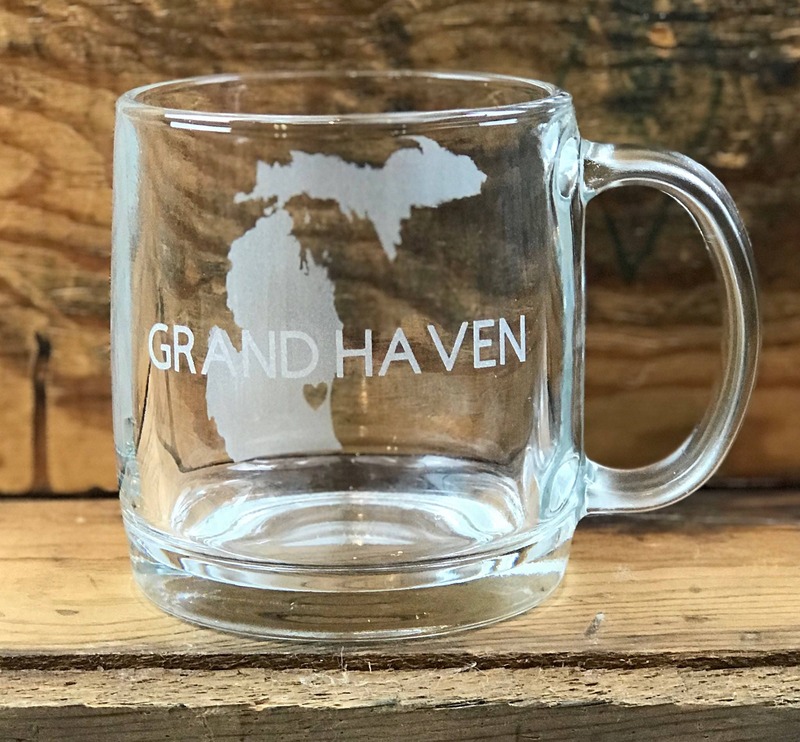 The pictures show Grand Haven, Michigan as the location for the heart. 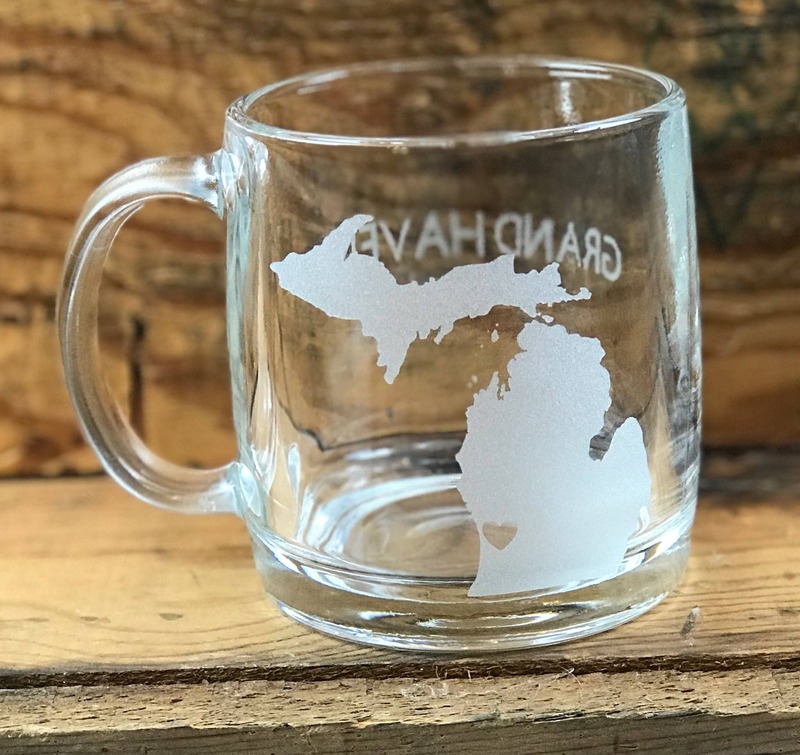 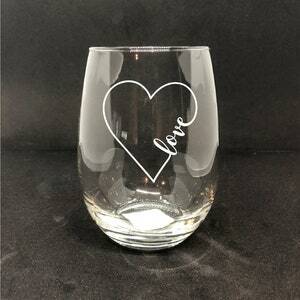 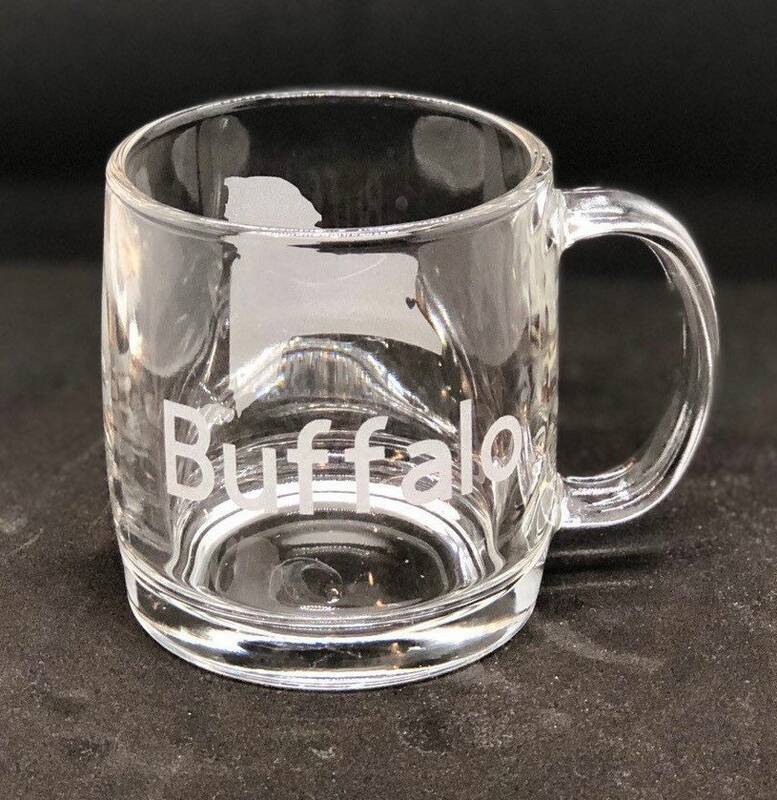 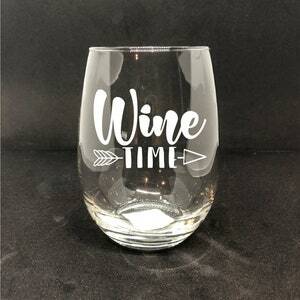 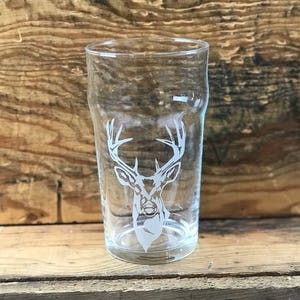 For an extra $2.00 you can add the name of your city on the back of the glass.